FXB Center instructor Magda Matache’s is featured in two short films currently available on the website of Facing History and Ourselves, a global education project focusing on discrimination and racial injustice. 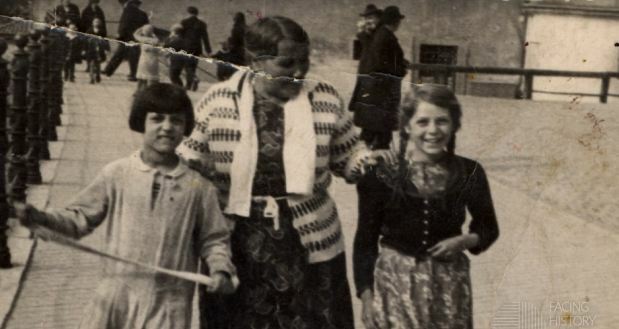 In “We Call Ourselves Roma” Matache eloquently summarizes the Roma’s history of statelessness and fight for recognition and justice in Europe and across the world. The second video, “Tackling Discrimination against Roma in Schools,” deals specifically with the marginalization of Roma children as a matter of institutional policy. Among other Roma-related projects, FXB leads the Roma Adolescent Agency Initiative, a three-year participatory action research project with both Roma and non-Roma youth. For more information see http://fxb.harvard.edu/reclaiming-adolescence-roma-transitions-to-adulthood/.